As on 15th November, 2016, 222 mills have started crushing as against 175 in 2015-16 SS same time last year. Till 15th November, 2016, sugar mills have produced 7.87 lac tons of sugar, as against 7.72 lac tons produced last year upto the corresponding period, i.e. 15000 tons higher as compared to last year on the same date. This is mainly because sugar mills in U.P. and Karnataka have started earlier than their usual time. 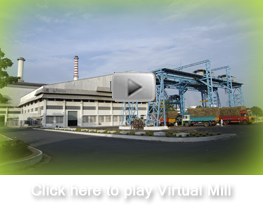 Sugar mills in U.P. have advanced commencement of their crushing operations this season by a fortnight or so, as compared to 2015-16 SS. As on 15th November, 2016, 55 sugar mills have been working and they have produced 1.93 lac tons, as compared to 15000 tons produced last year same period when only 6 mills were operational. In case of Maharashtra, sugar mills in the State started operations on or after 5th November, 2016, whereas in 2015-16 SS sugar mills started their crushing operations in October’15 itself. 95 sugar mills were in operation as on 15th November, 2016 and they have produced 1.12 lac tons of sugar as compared to 4.31 lac tons produced by 114 sugar mills last year on the corresponding date. In Karnataka, 38 out of 65 sugar mills have commenced crushing operations as on 15th November, 2016 as against 30 sugar mills which operated last year on the corresponding date. As on 15th November 2016, sugar production in the State was 3.76 lac tons, as against 1.60 lac tons of sugar production on 15th Nov. last year. 17 sugar mills in Gujarat have started crushing operations and have produced 62000 tons of sugar till 15th November, 2016. Last year, 16 mills were in operation in the State and had produced 1.21 lac tons of sugar till 15th November, 2015. In case of Tamil Nadu, 4 sugar mills were in operation as on 15th November, 2016 and they have produced 30000 tons as on that date, as compared to 40000 tons produced by 6 mills upto 15th November, 2015. Four mills in Andhra Pradesh and Telangana started their crushing and have produced 5000 tons of sugar till 15th November, 2016. Last year 2 sugar mills were in operation and had produced same amount of sugar till 15th November, 2015. Six sugar mills in Madhya Pradesh and two sugar mills in Uttarakhand have also started crushing and their sugar output is negligible. Sugar prices have been flat in the last few months. In fact, the ex-mill prices had fallen by a rupee or two sometime back which is now being seen in the retail prices too. The Hon’ble Food Minister, in various press interviews and statements has confirmed that the 2016-17 sugar season had an opening balance of 77 lac tons of sugar as on 1st October, 2015. The Government has also given out its sugar production estimates at 225 lac tons for 2016-17 season, and has said that there will be enough sugar for domestic requirement and yet leave good carry forward stocks of 47 lac tons for 2017-18 sugar season, adding that with around 20 lac tons of sugar production in October – November, 2017, the 47 lac tons of opening balance is adequate for domestic needs.